A well educated society understanding the richness of the natural world surrounding it does not allow its environment to deteriorate. For that reason we work in the dissemination of knowledge and raising awareness through educational activities directed at all ages. The Environmental Education Service is for GOB a fundamental instrument for disseminating our aims and inculcating positive attitudes on the environment. Our activities promote the close proximity of nature and the discovery of its charms. School activities are one of our most important branches of education. We offer training in class rooms so that children can know and appreciate their natural environment. 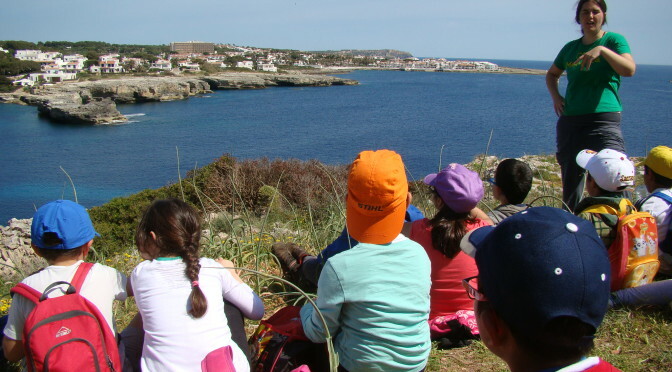 They can discover how ecosystems function, learn where energy and the water we consume come from, learn to identify animal species and the vegetation of Menorca, in order to go deeply into the relationship between the countryside and nature. 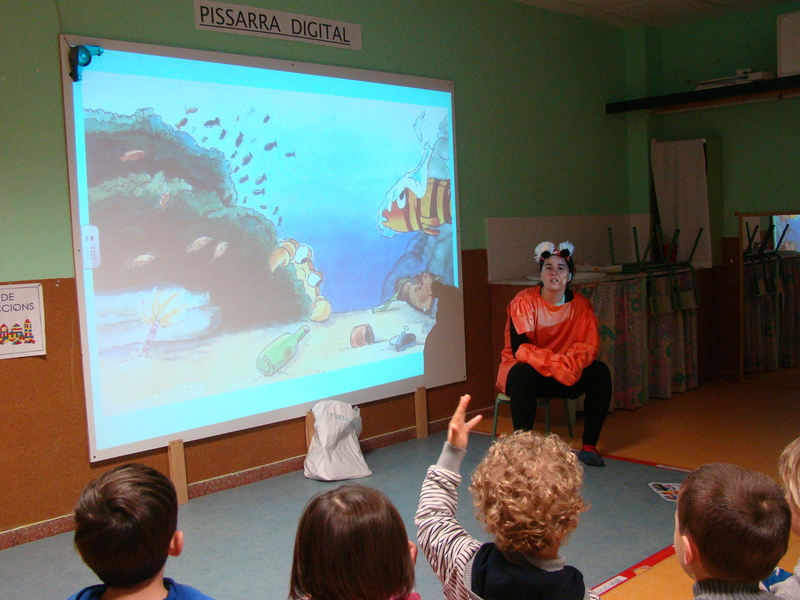 There are many learning games for amusing and educating young schoolchildren. 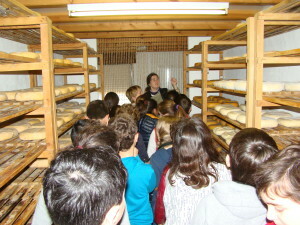 Each year, more than 2,000 pupils from different towns on the island enjoy our activities. In addition, the long term project “Bon profit! Educam menjant” of the consortium of Mestral-GOB, is very active. The aim is to promote the products of local ecological agriculture and inform the education community on the consumption of sustainably produced foods. We run courses and activities for cooks, families, children and teachers to advocate a more responsible attitude to the consumption of food. Thanks to this initiative, some schools have started to introduce ecological foods to their menus. We carry out many training programmes from different areas of GOB for the general public. The Botany Group has renewed the Introduction to Botany course and makes many excursions into the country to appreciate plants. The garden centre Es Viver gives workshops on pruning, grafting and planting out in the Rubio i Tuduri Park in Mahon and does the course on “Management of an Ecological Family Garden”. 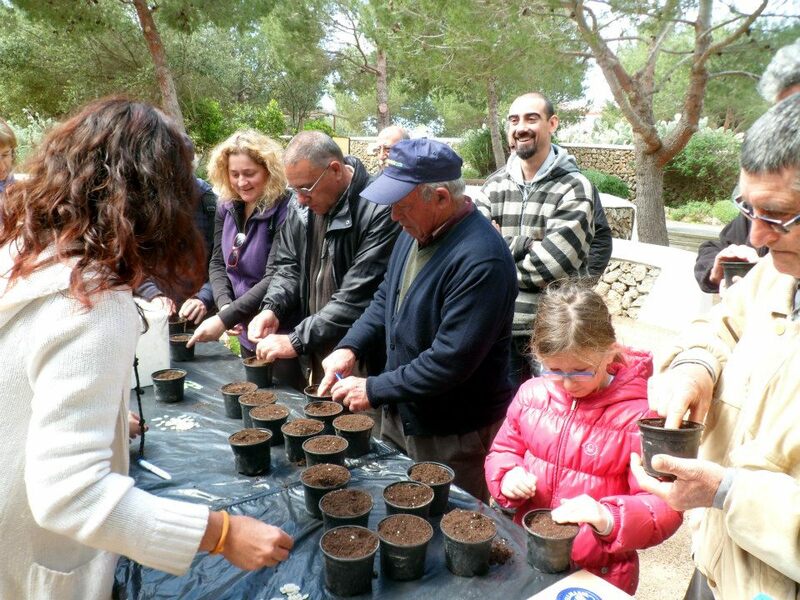 The course on “Environmental principles for Cami de Cavalls guides” has aroused much interest, satisfying the necessity for specific training, and celebrates its fourth year. We have also carried out the Three Days for Women Farmers and the Seminars on Agriculture and the Environment, now in their seventh year. Through GOB you can find activities for all tastes. Subscribe to our email list (in Catalan) and receive full information.